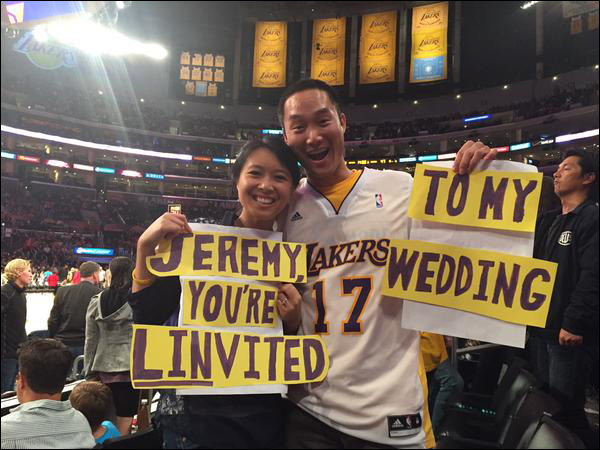 And meet the fans who invited Jeremy -- via hand-made sign -- to their wedding. Another big night for Jeremy Lin! 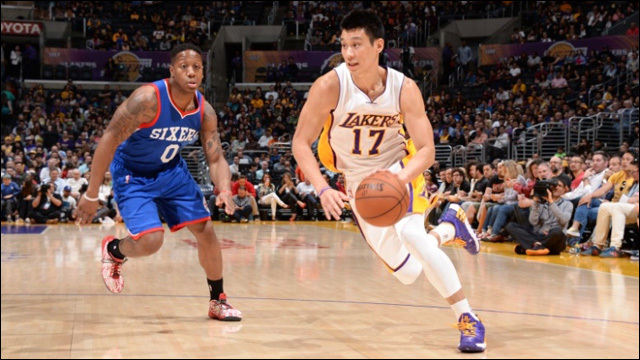 During Sunday night's game against Philadelphia, your favorite Asian American point guard scored a season-high 29 points, helping the Lakers beat the 76ers, 101-87. 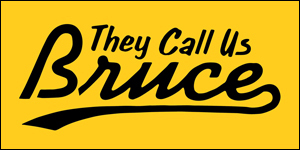 Okay, so never mind that it was a matchup between two of the NBA's worst teams. Jeremy threw down an impact performance worth talking about, scoring 29 points with five rebounds and five assists in 28 minutes. Like I said, big night for Jeremy. A night worthy of a wedding invitation from this couple. 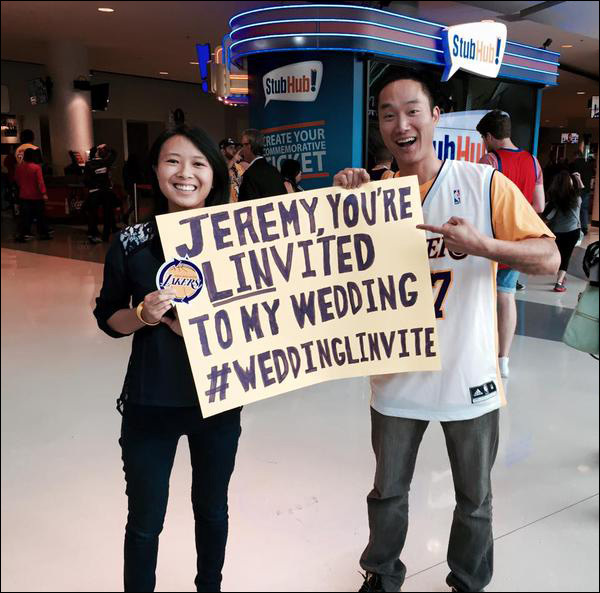 Eric, who is purportedly the biggest Jeremy fan in the world, and his fiancee Jessica, held up hand-made signs from their third-row seats at Sunday night's game inviting Mr. Lin to their wedding. I'm told that Jeremy didn't RSVP, but he did look over a few times to nod and give a thumbs up. Jeremy, there is a table waiting for you, if you're able to join Eric and Jessica on their big day.